Many IT service providers use remote monitoring tools to gather information and send reports about their clients’ computer systems. Almost anything can be monitored, from routers and firewalls to virus detection and email services. In order to operate smoothly, your company needs its computers up and running. If they stop working, you could end up losing a lot of money. Remote monitoring can reduce the chances of such an event. Your service provider can set alerts that trigger when a problem starts to develop but before it impacts system performance. This early notification means the issue can be resolved before it develops into a crisis. An IT service provider’s remote monitoring team can protect your computers around-the-clock. This 24/7 service means that providing a solution to your tech troubles doesn’t have to wait until the morning. Because of remote monitoring, it doesn’t matter where you are, where your systems are, or where your people are. A remote monitoring team can contact you, find out how you want a situation handled, and then take care of it for you. This means that you don’t even need to leave the comfort of your own home in order to take care of a problem. This aspect of remote monitoring is especially appealing to companies with facilities in distant or rural locations. Remote monitoring collects system statistics over time. When viewing this data in monthly or quarterly reports, long-term trends can be identified, even before they reach levels that would trigger an alert. Using these reports, you can address potential problems as they develop and prevent them from ever impacting your computer system. Trend analysis can also identify needs for system expansion and help with technology budgeting. Remote monitoring is comprehensive. Every device can be monitored and supported remotely, whether it’s a server, a desktop, or a mobile device. Additionally, a remote monitoring service can provide for automatic updates. Configuration files and other changes can automatically be deployed without users needing to take any action. If one of your employees ever has a computer problem, an IT expert can use remote control tools to take control of the employee’s desktop while they are watching. Remote control is different from remote monitoring, although the two are closely related. When it comes to IT support, remote control tools let technicians teach your employees about the issue at hand and explain to them how to address it in the future. 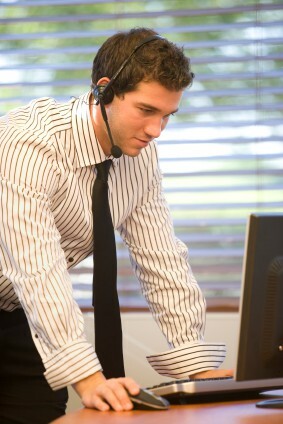 Businesses today rely on their computers. They need their IT infrastructure up and running at all times. They need to know about problems before they happen, and they need support regardless of their locations. Remote monitoring provides a cost-effective way for companies to fulfill these needs.